Liberty Intl. 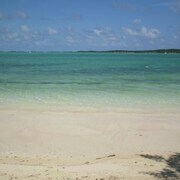 - Exuma Intl. Los Angeles Intl. 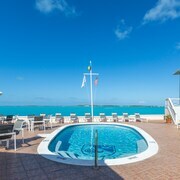 - Exuma Intl. 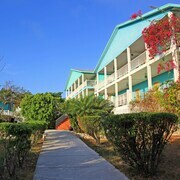 Located in George Town, this beachfront resort is in the city center and within 3 mi (5 km) of Palm Bay Beach and Hoopers Bay. Very centrally located The hotel is located right in the middle of George Town. We had a wonderful time, Doc the bartender was great, the ladies that worked at the desk were very helpful and the rooms were nice and clean. There are lots of water activities, a water taxi to Stocking Island and many other things to do. Great staff, they were always happy to help! They helped whenever we needed something. We went fishing, brought back the fish and they cooked it for us. Jim. 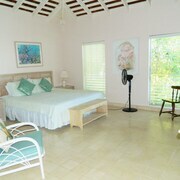 Located in the heart of George Town, this aparthotel is within 1 mi (2 km) of Palm Bay Beach and Hoopers Bay. Rolletown Tombs is 8.4 mi (13.5 km) away. Are you ready to say an enthusiastic yes to new and unforgettable adventures in George Town? We make traveling so cheap that you won't be able to say no! 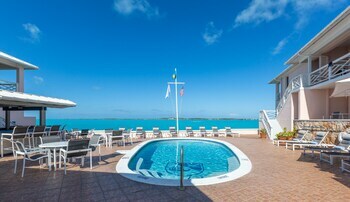 George Town is around 150 miles to the northwest from Nassau, Bahamas' capital. 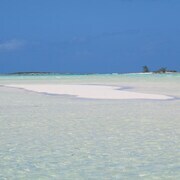 The population of this area of The Exumas is around 7,000. It doesn't matter whether you're trying to find some terrific opportunities for some vacation snaps or you simply want someplace to stop and consult your map, Rolletown Tombs ticks the boxes. This age-old landmark can be visited for free, making it a great option for penny-pinching history buffs. There's nothing quite like an ocean breeze to blow the cobwebs away. 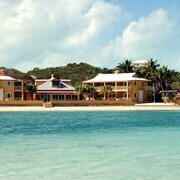 So, if you're blessed with a sunny day, why not grab a few snacks and spend some time at Palm Bay Beach and Hoopers Bay? Don't like making compromises on quality just to save your cash? CheapTickets can help. When you travel with us, you won't need to sacrifice comfort or pay an arm and a leg. Think of all of the wonderful things you could do with an additional $481. When you combine your flight and hotel bookings, that's exactly how much you could save! And with access to 500 airlines and around 500,000 properties across the globe, you won't be lacking in choice. Here at CheapTickets, we're not joking when we say we're here to save you bundles of cash. If you come across a lower price within 48 hours of securing your deal, we'll meet that price and give you back the difference. It's our Price Guarantee! How's this for a bonus? Our simple rewards program not only saves you dollars on your next eligible CheapTickets hotel stay, it also works together with our other promotions. The only thing you have to do is book that flight! Wondering just how to get access to exclusive bonus offers, savings and super-scrimpy perks? Just log in or sign up for free and join CheapCash. It's really that simple! We understand — you've already splashed out enough of your precious dosh on your big adventure, so you're not wild about forking out a fortune on cabs. Luckily, George Town has some good car rental places which should take some pressure off your wallet. 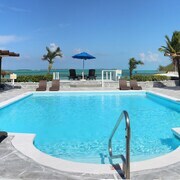 Regrettably, there aren't any car rental companies in the vicinity of Exuma International Airport, so you'll have to organize another way if you're arriving by air. Are you eager to spend a night or two in George Town? You might have to make some snappy decisions, cheapster. Right now, we have just 10 hotels in George Town. 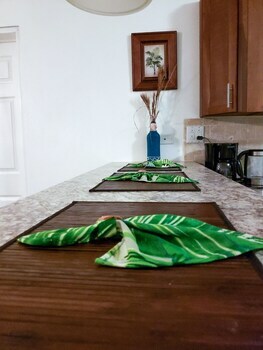 We'll make organizing your getaway simple and easy. 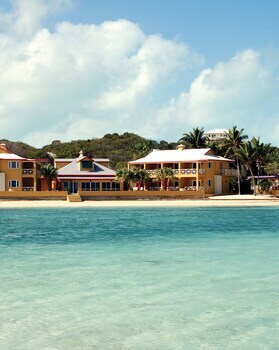 Recommended hotels include the Hoopers Bay Villas and St Francis Resort.